Founded in 1917, the National Hockey League (NHL) was the last of the major professional sports leagues to remove the “colour barrier” for blacks. On January 18, 1958, Willie O’Ree of Fredericton, New Brunswick made his NHL debut with the Boston Bruins in a game against the Montreal Canadiens. After two games, as an injury replacement, he returned to the Quebec Aces and was later recalled by the Bruins in 1961 for 43 games after which he was traded to Montreal. The Canadiens never signed O’Ree and thus, ended his NHL career. Since O’Ree broke into the NHL over 60 years ago, 90 players of colour (black) according to the latest data have played in the league to date. Did you know that three of them were born and raised here in Ottawa? Prior to playing in the NHL, Baptiste, a forward, played 4 years (2011-2015) of major junior hockey with the Sudbury Wolves and Erie Otters in the Ontario Hockey League (OHL). He, perhaps, played his finest junior hockey with the Wolves when he garnered 89 points on 45 goals and 44 assists. In 2013, Baptiste was a member of the Canadian World Junior Under 18 Team that won the Gold Medal at the World Junior Championship in Sochi, Russia. He was second in team scoring with 8 points (3 goals, 5 assists) in 7 games. 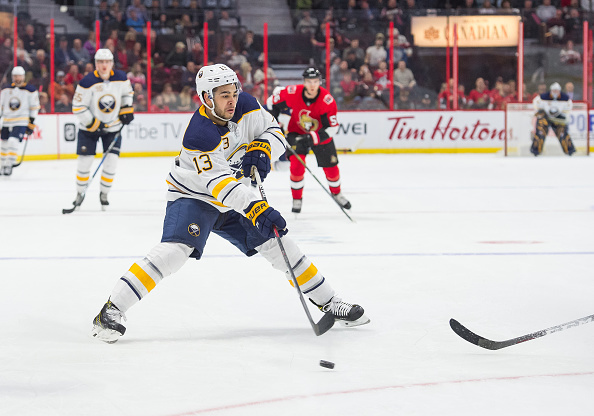 During the 2013 NHL Draft, Baptiste was drafted 69th overall by the Buffalo Sabres and signed a 3-year contract with the Sabres on May 31, 2014. He spent parts of two seasons (2015-2017) in the minors with the Rochester Americans of the AHL, the Sabres’ affiliate. However, on October 20, 2016, he made his NHL debut with the Sabres in a game against the Calgary Flames. Before the 2018-2019 season, Baptiste was traded to the Nashville Predators and was immediately re-assigned to the AHL affiliate, the Milwaukee Admirals where he currently plays. 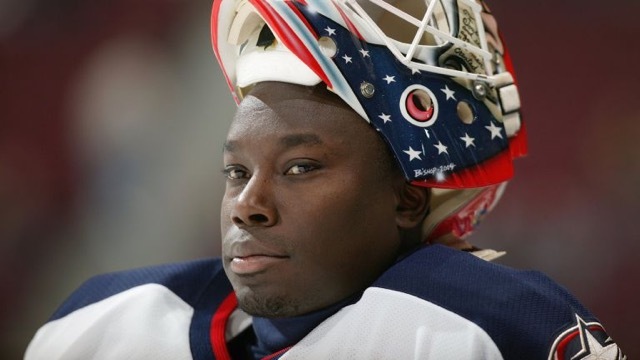 On July 10, 2017, Brathwaite, a former NHL goaltender, was appointed the New York Islanders’ head goaltending coach under head coach Doug Weight. After a disappointing 2017-2018 season in which the Islanders had 35 wins, 37 losses and 10 ties as well as a league-high of 296 goals against, Weight along with Brathwaite lost their jobs. Currently, he serves as a goaltending advisor with the Ottawa 67s of the OHL as well as Hockey Canada’s National Junior Team. Prior to joining the Islanders, Brathwaite has worked as the goaltending coach for Hockey Canada with their Under-18 team for the several seasons. Before that, he held the same role with Canada’s Under-20 team, as well as with his former club Adler Mannheim of the German Professional League (DEL) during the 2013-14 season. During nine NHL seasons as a player, Brathwaite played in 254 games and posted an 81-99-37 record with a cumulative 2.73 goals-against average and a .901 save percentage. Brathwaite came into the league with the Edmonton Oilers and went on to play games with the Calgary Flames, St. Louis Blues and Columbus Blue Jackets. He also spent time with the Syracuse Crunch and Chicago Wolves of the American Hockey League (AHL), Ak Bars Kazan and Avangard Omsk of the Russian Superleague (RSL) and Adler Mannheim of the DEL. Brathwaite won Goaltender of the Year Honors in the RSL in 2005-06 and won Player of the Year in 2008-09 in the DEL with Adler. 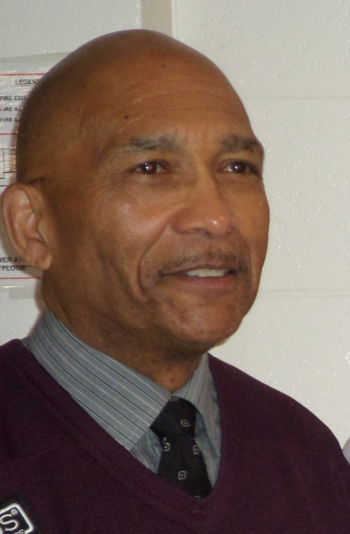 Before turning professional, Brathwaite played junior hockey with the Oshawa Generals, where he won a Memorial Cup in 1990, London Knights and Detroit Junior Red Wings of the Ontario Hockey League. Bob Dawson is a former hockey player, diversity management consultant and a senior writer for the Boxscore World Sportswire. For additional information, you can visit his website at http://thebobdawsonway.weebly.com. After playing junior hockey with the Kitchener Rangers of the OHL from 2004-2006, Mark, a rugged defenseman, was drafted 84th overall in the 2005 NHL Draft by the New Jersey Devils. 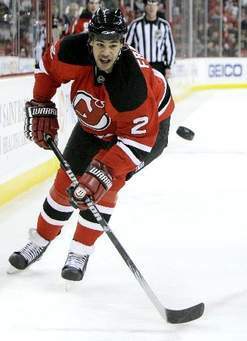 From 2005 to 2011, Fraser split his professional career between the Devils’ AHL affiliates, Albany River Rats and Lowell Devils, (45 points-5 goals, 40 assists) and the parent team at the NHL level (8 points-3 goals, 5 assists). On December 12, 2011, Fraser was traded to the Anaheim Ducks. From there, he was subsequently traded to the Toronto Maple Leafs on February 27, 2012. With the Leafs, he split his time (2012-2014) with their AHL’s affiliates, the Syracuse Crunch and Toronto Marlies (12 points- 2 goals, 10 assists) and the Leafs’ NHL team (9 points-0 goals, 9 assists). With a drop in Fraser’s performance, the Maple Leafs traded him to the Edmonton Oilers on January 31, 2014. A free agent in the 2014-2015 season, he made a return to the New Jersey Devils signing a one-year contract with their AHL affiliate, the Albany Devils. He was later signed for the rest of the season on a NHL contract with the Devils. Since he was not offered a contract, Fraser was released to free agency. On September 28, 2015, the Ottawa Senators signed Fraser. However, after one year playing for the team’s affiliate, the Binghamton Senators (7 points-2 goals, 5 assists), he left as a free agent and returned to the Edmonton Oilers. As an unsigned free agent going into the 2017-2018 season, Fraser decided to pursue a career abroad playing with the Finnish HC TPS (2017-2018) and Zvolen HKm of the Slovakian Extraleague (2018-2019). Known as a tough rearguard throughout his professional hockey career, Fraser had over 300 penalty minutes.